When you want to reach your B2B/IT audience, we all know that creating educational content is essential. IT marketers are also living in one of the fastest changing industries there is, the company that’s able to cut through the noise with impactful content, wins. 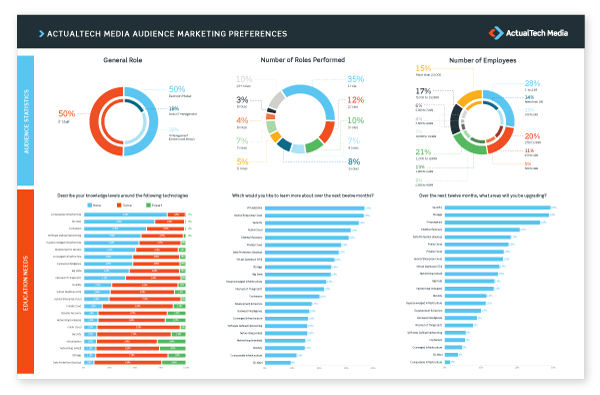 We wanted to know which content is the most valuable to IT audiences, so we recently surveyed them. As it turns out, more than 90% of our respondents consider video one of their preferred ways to learn about solutions that matter to them. According to Google, 70% of B2B buyers and researchers are watching videos throughout their path to purchase. This means that video serves a bigger purpose than gaining awareness; B2B buyers rely on it through the entire purchase funnel. So what kinds of videos are B2B companies already creating? And, more importantly, how can you take a unique approach? Most commonly produced videos are product videos, demos, explainers, and webinars. This is no surprise; our research has shown that webinars and explainer videos are highly useful to those evaluating technology or vendor solutions. Here’s some excellent news: most valuable videos according to our research—one-to-one and whiteboard-style videos—are hugely underused. 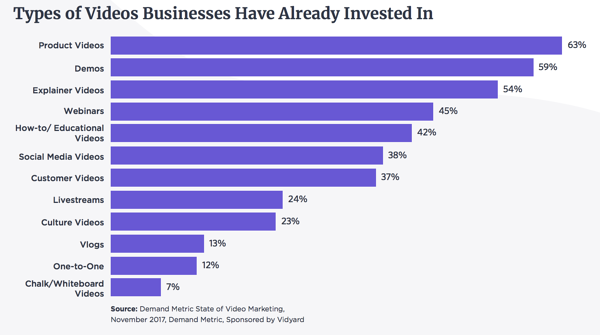 For example, only 7% of businesses have invested in chalk/whiteboard videos. This is where you can win. Videos that feature industry experts diving deep into the nuts and bolts of a topic are your way to differentiate yourself and carve out a market advantage. The reality? Many companies focus on brand-specific video content. They talk about themselves, feature their executives, and conduct interviews that are uninteresting at best. The problem with this is that, more often than not, this isn’t what people want to see. Brand-centric video content will likely perform well as B2B buyers get closer to making a purchase decision. There is a wide gap leading up to that time, and it’s the one you can fill with an audience-centric video content strategy. 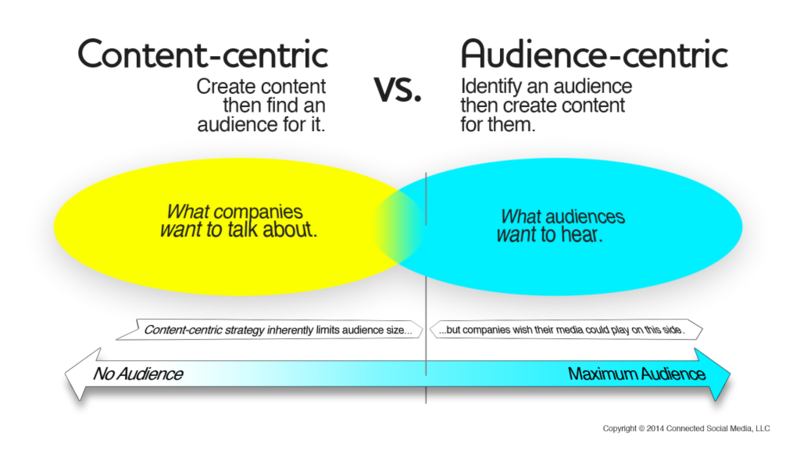 If there’s someone B2B marketers can learn from when it comes to this, it’s companies that sell directly to consumers. Selling to businesses, after all, still means you’re selling to real people with real challenges and not faceless brands. 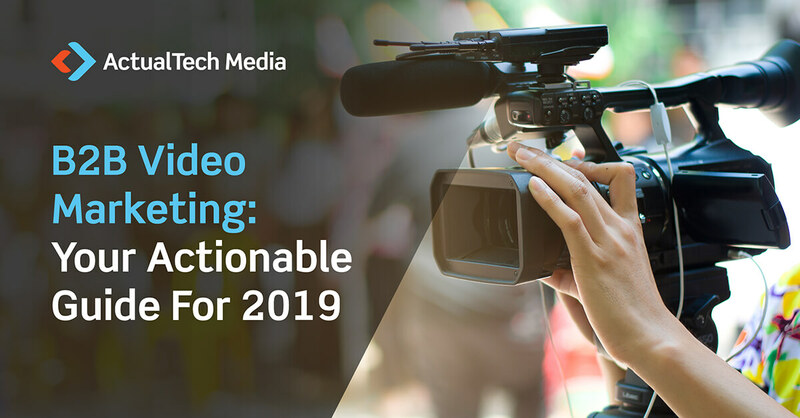 A 2019 report from Content Marketing Institute revealed that 69% of B2C marketers have increased the use of visual content such as videos, live streams, and webinars. The same report also uncovered that 81% of B2C marketers agree their organization is concerned with creating content that builds loyalty with existing clients and customers. Consumer-focused marketing has mastered the art of tapping into emotions and behaviors to reach an audience that resonates with content’s key messages. Here are the main takes to apply in your B2B video marketing. Use storytelling. A story is what get viewers hooked to a video. It emphasizes crucial moments in a video and creates anticipation. While B2C videos often delve into intense emotion to deepen the story, B2B videos can create a storyline by focusing on a specific pain point and painting a picture—and a solution—around it. Optimize for watching on-the-go. People no longer only watch videos on their desktop. Mobile viewing on the commute, in a queue, or even while the TV is on is the new normal. More than 52% of all website traffic came from mobile phones, and mobile accounts for 78% of all social media visits in the US. This means you should optimize your videos for social media autoplay, no-sound playing, and a small screen. Keep binge-watching in mind. There’s little chance that someone will organize a marathon-viewing of your educational datacenter videos on a Saturday night. However, if just one video strikes a chord with someone in your audience, the chances are they will look for more. What value can you add to your videos to spark that reaction and become the number one resource to someone? The answer to that question will level up your video topic brainstorm. Tip: Almost all of our clients at ActualTech Media have YouTube channels, but very few have optimized the video library on their YouTube channel into YouTube playlists, where one video will lead into the next logical video on the topic. The more vendors do this and keep people watching video after video in succession on their YouTube channel, the more the YouTube algorithm will tilt things their way in the search and discovery flows for YouTube audiences. As we mentioned earlier, we found that the most effective videos for B2B buyers are the real-talk, deep-dive expert videos. Instead of inflating your executives’ ego, you’ll reap significantly more rewards by focusing on one of the following types of expert-focused video instead. A side note: you’ll notice all three types are highly binge-able! Videos that feature an expert and a whiteboard are a super simple, yet powerful way to break down technical concepts and complex topics in an easy and visual way. An expert infuses trust, and the whiteboard helps the viewer keep up with video’s narrative, take notes, and put what they’ve learned into practice. Moz, an SEO software company, has been doing their Whiteboard Friday series since 2007, which has propelled them—and their co-founder and former CEO Rand Fishkin—into fame in the SEO and marketing world. 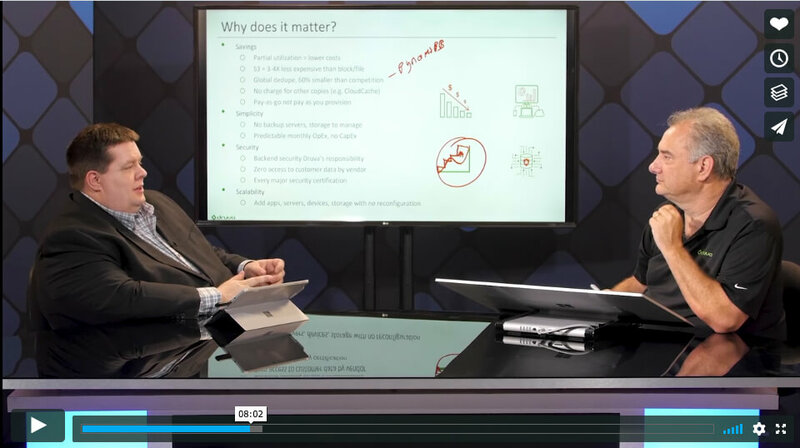 On our ActualTech Media RoadCast series of videos (We hit the road and visit top vendors to see what they do and how it works) we emphasize whiteboard videos heavily. Another way to go deep on a topic is to host video interviews with experts. Again, they can be your company’s experts as well as co-marketing opportunities with other companies. They can also be conducted in-person or over a video call. As long as you are asking questions that you know your audience would ask, you’ll create videos that resonate with your ideal viewers. The Baer Facts was a video series run by ExactTarget (a Salesforce-owned email marketing company) and Jay Baer, a marketing author and long-time practitioner. 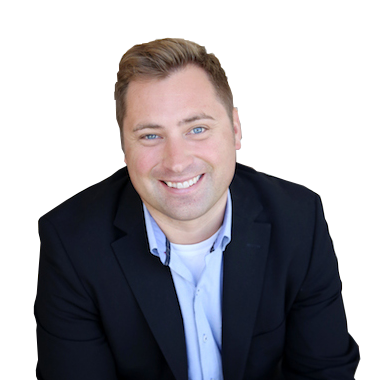 Kyle Lacy of ExactTarget interviewed Jay Baer every week on current marketing topics and burning aspects of a marketer’s life. Search for an explainer video on Google or YouTube and you’ll likely find dozens that introduce a product immediately or within the first 30 seconds. As we mentioned earlier, this isn’t necessarily a bad thing. Later stages of the purchase journey naturally include more product and brand-specific research on the buyer’s part. However, there’s a gap in B2B providers’ content when it comes to topical, information-focused explainer videos. You can make these videos as detailed or as high-level as your target viewer needs them to be. 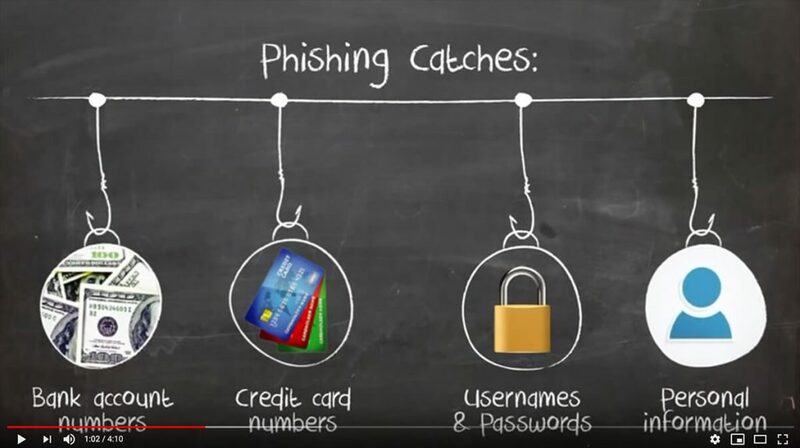 Paychex, a payroll and HR solution, used this type of explainer video to educate their audience on the ins and outs of phishing. They’ve included definitions, examples, signs to look for, and best practices. Next up is getting the most mileage out of your video. Video can help you reach more people through good old SEO. A blog post with a video can triple the number of domains linking to it. It also increases the average time spent on page. Both of these elements can increase your rankings. Another important place for you to focus your video promotion efforts is social media. 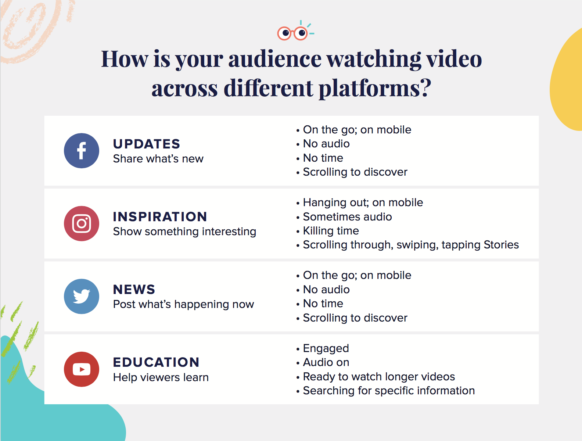 Social video has leveled the playing field for businesses of all sizes, and all platforms now offer native video options. For B2B organizations, this is where LinkedIn comes in. This is where you can stand out. According to LinkedIn, video content is shared 20 times more than other content formats in the LinkedIn feed. Native video on such a B2B-driven platform can help you make an impact with your videos. YouTube and LinkedIn are prospective places to reach your ideal viewers and potential customers with your B2B videos. Even though your expert-focused videos might fall on the longer side, remember you can always take short snippets and repurpose them on Twitter and Facebook. And if you want to test LinkedIn ads, videos under 30 seconds reported a 200% lift in view completion rates—good to know! As you probably know, Reddit users are notorious for calling out people who spam the platform to promote themselves. Self-praise doesn’t go far on Reddit. So why would we recommend it as a place to promote your video? The depth of questions and the extent of topics (or subreddits) available on Reddit mean you can stand out as an expert in your industry. You can do so by providing value through answering questions first. 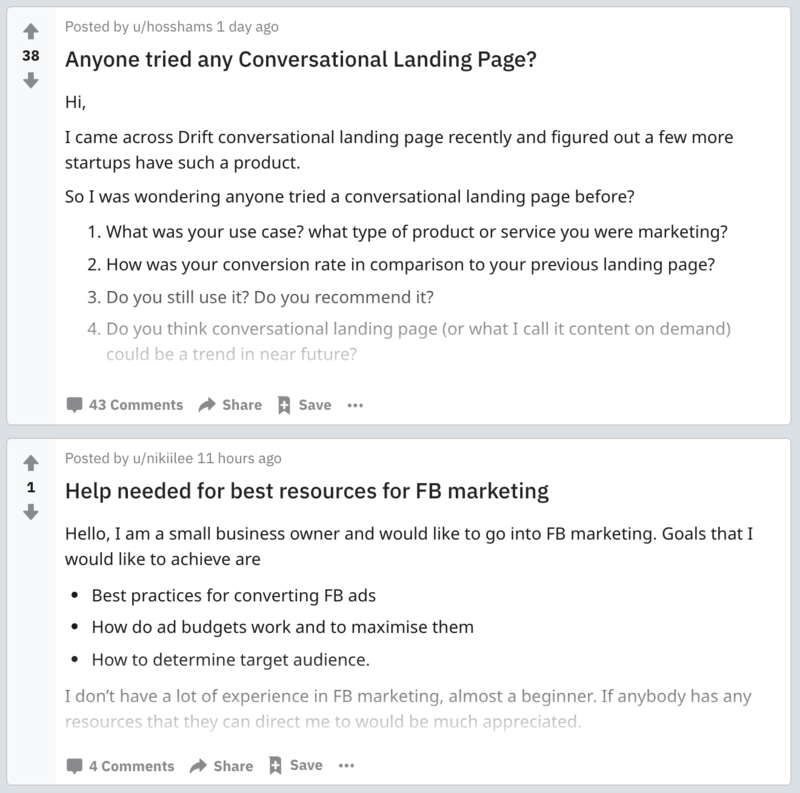 Once you have built up some karma—literally called karma points on Reddit—you can use the same approach to not only answer questions, but also add a link to your video to make your answer more valuable. This is a strategy that requires patience, testing, and hyper-focus, so make sure you zone in on topics and questions that truly relate to your knowledge and expertise. As a result, you’ll attract an audience that will keep coming back to your content long after they’ve found you on Reddit. At ActualTech Media, we also strongly recommend monitoring your brand and niche on Reddit to be alerted to discussions you need to be on top of. The question that naturally pops up at this point: how do you entice those watching your video to come back again? How do you become that go-to resource in your industry? The answer: turn them into your leads. Video is a powerful way to generate leads, and the reason is simple. At the time of watching your video, your viewer has the highest intent and interest when it comes to the topics you’re talking about. They’re focused on you and, if you do everything right, you can turn that attention into a deeper connection with them. In other words, if your video delivered what they were looking for, they will happily exchange their email address in order to keep getting that value from you. Here are some companies that are killing it when it comes to lead generation with video. This is as simple as asking for an email address at some point throughout the video; ideally, when there are still parts of the video that your viewer doesn’t want to miss out on. 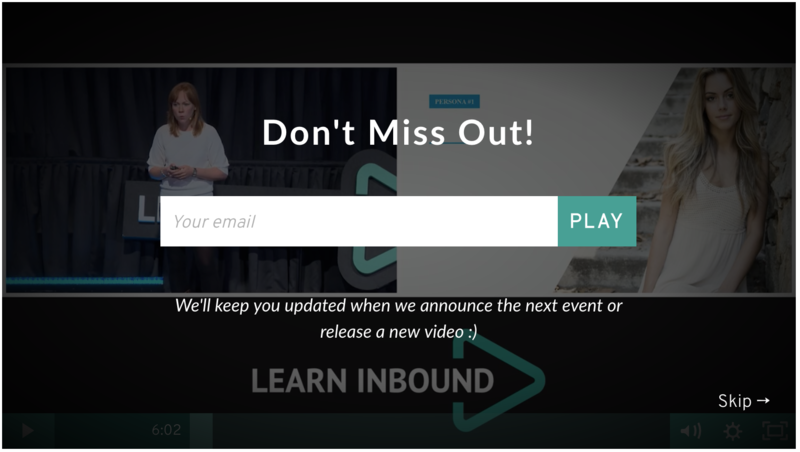 Learn Inbound, a marketing training company, does this with videos from their conference. These are highly valuable and extremely detailed videos with leading experts in various marketing fields. These videos are also free, so providing your email to keep on watching a 30-minute talk seems like a fair exchange. This is easy to implement with a tool like Wistia. When your viewer powers through your video, it’s an ideal opportunity to drive their attention to a signup. YouTube’s end screen and cards are the perfect feature to use for this. The Video Influencers YouTube channel uses a card in the later part of their video that invites the viewer to register for a free YouTube masterclass. Then, as the video comes to an end, the end screen suggests another video, a playlist, and a signup to that same YouTube masterclass. Adding the card to this towards the end of the video, instead of throughout the entire video, is a smart move. Instead of pushing something that benefits the channel only, these creators have focused on delivering value first and only pushing the resource on their website as the video comes closer to its end. If your video lives on a landing page or any part of your website, you don’t have to necessarily gate the video or use YouTube cards to encourage a signup. 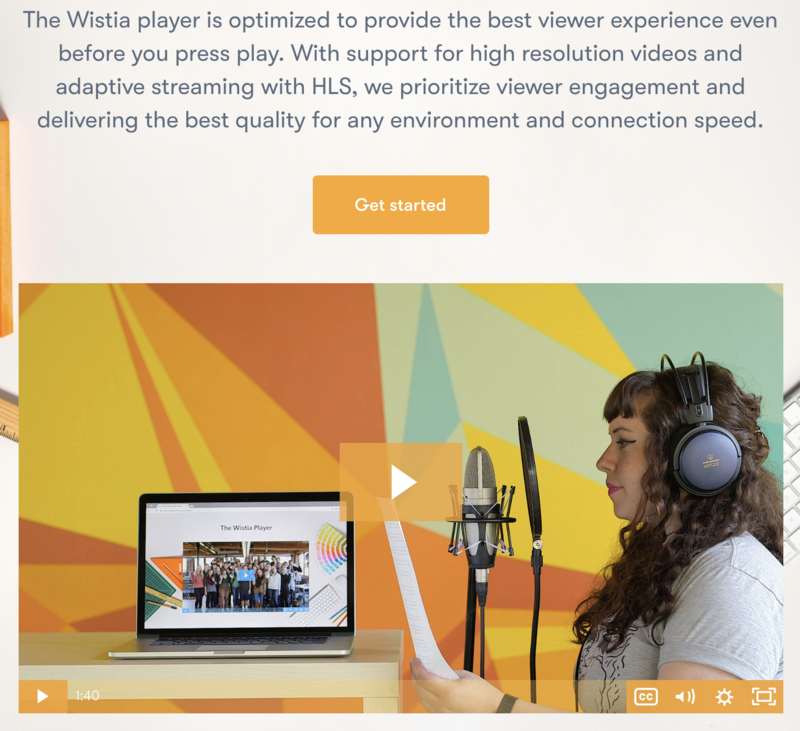 You can accompany the video with a form or a call-to-action nearby, or even have a slide-in CTA that stays in the corner as your visitor scrolls up and down the page. A great example comes from none other than Wistia. On one of their product pages, they have a 1:40 minute video that emphasizes key features of their player. Right above it, there is a Get started button that takes the visitor to a signup page, including to the free account—which Wistia can convert to a paid account later on. Here’s a key takeaway: your audience is looking to learn from experts that have been in the trenches. They want to hear about tactics they’ve tried, what worked and what didn’t, and be able to put those learnings into practice. With this guide, you can achieve that. Focus on answering real audience questions, promoting the videos to maximize their impact, and turn video traffic into leads when possible, and you’ll be well on your way to success with video! Need help with video? We shoot hundreds of videos a year with vendors in nearly every IT niche, often as part of our Discovery Campaign service. Check it out here. Arrange a quick chat with us. We’re always happy to jump on a quick call and learn about your plans and dreams for video marketing and we’re excited to talk to you about how we can help! Drop us a line here to arrange.